Aislinn is living out her mantra and on track to receive her bachelor's degree in sociology. Aislinn’s journey has been far from easy. Last summer, her husband was diagnosed with a terminal illness. 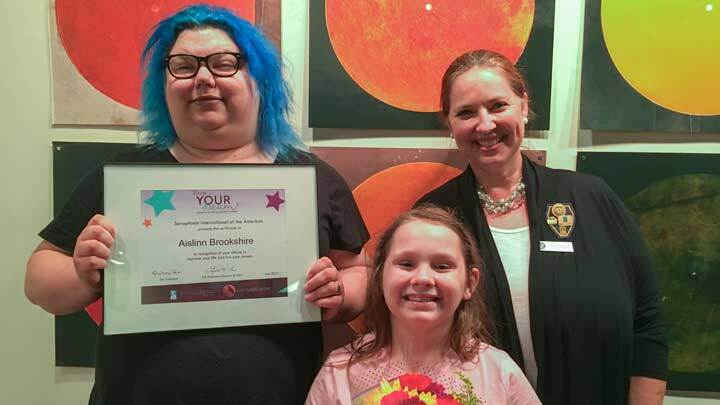 When she sat her daughter down to explain to her what this news would mean for their family, Aislinn told her if they were going to make it, they had to be their best selves. To do what I needed for my daughter I had to make myself a somebody. The only way to make yourself a somebody is to get an education. "We can do better", as a guiding principle, is a mantra that keeps Aislinn strong and informs the projects and commitments she takes on. She is on track to graduate in May 2018 with a bachelor’s degree in sociology and plans to go on to graduate school. From there, her dream is to pursue a teaching and research position at a college or university, where she hopes to teach and mentor others to promote social equality and economic mobility. When I see injustice and apathy in my community, I say ‘We can do better!"